We have provided some guides about how to write the various styles and formats of papers, but are also going to give some general tips on article writing. These are useful for any type of writing, and I used them myself, for writing these articles! Time management is the single most important factor. Failure to leave yourself enough time will, at best, lead to a rushed paper, at worst lead to a missed deadline. If you do not plan your time, you will invariably end up trying to cram everything into the last night. Whether your instructor gives you a week, a month, or 3 months, you need to make sure that you have a structured plan in place. It is very easy to think that you have lots of time, and become bogged down by the minutiae and technicalities, leaving yourself with too much to do. Start broad – write out all of the easy points first and construct the body of the article. If you do not fully understand something, rather than spending a lot of time on it, make a note of the fact and revisit when you have finished the first rough draft. Sometimes, you will be given a topic, or list of topics to select from, and you will have to do the best that you can. On other occasions, you will have more freedom, so it is important to pick a topic that you really enjoy. You also need to look at the practicalities – if you pick a wide topic, it is going to be difficult to focus the article. Too narrow, and you will not have enough sources for a fully balanced paper. 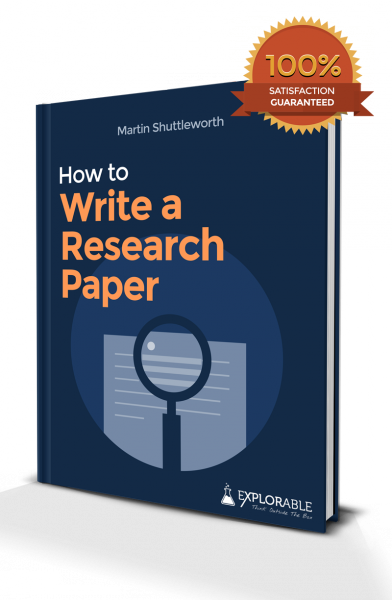 One tip is to make a shortlist, and spend an hour or two with a little preliminary research – you want a range of sources, opinions and angles upon which to base your paper. This essay will show that Humanistic personality theory is an excellent basis for motivating staff in the workplace. Comparing Japan, a modern society with an insatiable appetite for technology, against a society that has little need for technology, shows that technology cannot always be regarded as a force for good. Don’t worry too much about the exact language of the thesis statement, at first, as long as you have an idea. Unlike a hypothesis statement, it is perfectly acceptable to change a thesis statement as you refine your research. In fact, it is not unknown to convince yourself to change your own mind in a research paper! There is nothing wrong with this, and it shows that you have the intellectual honesty to look at both sides of the argument. It is important to make sure that you have a good array of up-to-date and relevant sources. Most people base their research paper around one or two solid sources, but you need to make sure that you integrate plenty of papers and articles. This is especially true if you are writing an argumentative or persuasive paper, because you need to provide the opposing point of view, allowing you to counter. Determining how you are going to attack the paper is the next stage, allowing you to make a robust plan and outline. For a narrative paper, you may decide to use a chronological layout. For an argumentative paper, you may decide to take it point by point, delivering an opposing point of view and then your counter argument. There is no set protocol, only that you should try to integrate sources, rather than set out your paper in single source blocks. The outline should include the main points of your introduction, body and conclusion. Here are a few research paper outline examples. You should aim to have your paper completed a few days before the deadline. This gives you the opportunity to leave it and come back for fine-tuning. You can run a spell-check and then edit with your own eyes – you will be amazed at all of the silly little errors that you pick up. For a very important paper, you can always ask somebody else to proof it for you, making sure that the language is perfect. With these tips on article writing in hand, you are now on the way to writing the perfect article or research paper. 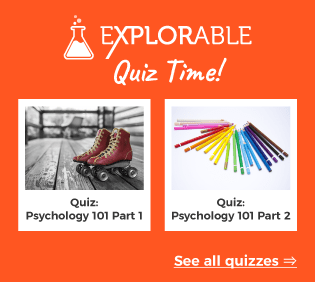 For in depth information, we have plenty more articles at Experiment Resources.